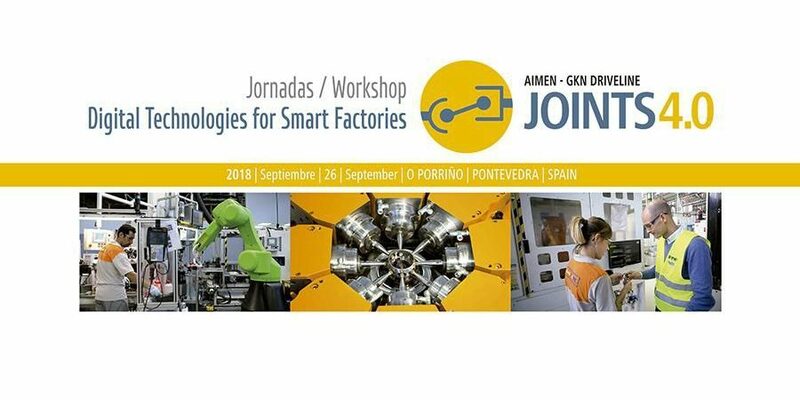 The past 26 September the AIMEN Technology Center of Galicia in collaboration with GKN Driveline, celebrated a new seminar of JOINTS4.0, its Mixed Unit of Investigation, with a ‘Digital Technologies for Smart Factories Workshop’. The purpose of this unit is developing new sustainable manufacturing technologies with application in industrial processes of several sectors in which quality control and monitoring are necessary. IRIS had the pleasure of being a guest participant of this great event, in which Alejandro Rosales, Science and Technology Manager, gave a more than an interesting conference, ‘Chemical sight: a source of data for process monitoring beyond the visible range’. He talked about Hyperspectral Imaging (HSI), a based on Near Infrared (NIR) technology, which shows a high-precision chemical imaging that allows determining quantitative composition with spatial resolution.